Luke Meinert called the meeting to order at 5:38pm on Monday, March 11, 2013 at the Sand Point KSDP Radio Station. Jim made a motion to add all of the above to agenda and approve it. Dan seconded. All in favor. Motion Passed. Jim made motion to approve minutes from last meeting. Dan seconded. All in favor. Motion passed. Austin gave updates on the financial status of the radio station, we are in a healthy state right now. We are finishing up the FY12 Grant and the next legislative cycle we will apply for another. Luke asked about the waiting period between the close out of this grant and applying for another one. Asked if there were any other kind of grants out there. Austin said that currently radio stations are not being looked at for grants. We could work with the Borough or the City to apply for other grants though. There are also private foundations like Rasmuson. Austin asked if anyone had any big ideas for grants, a translator in False Pass was brought up. Luke asked that we make a list of 5 or 10 things, short or long term that we could improve at the station. Austin will look into this, thoughts on maybe doing something with the internet/website. Austin talked about the expanded coverage of the basketball games this season. 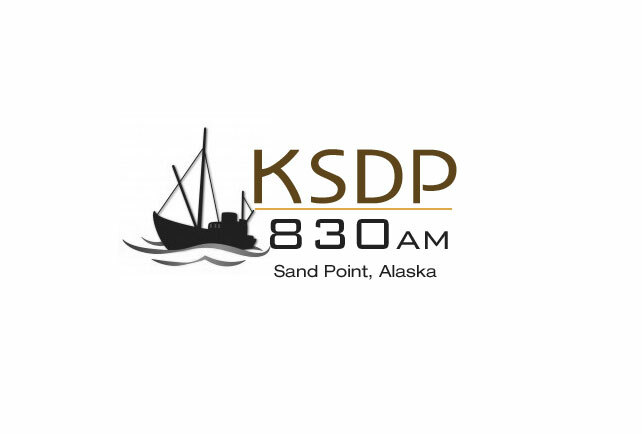 This year every Sand Point game and almost every King Cove game was broadcasted on KSDP. The hope for next year is to create sponsorship spots during basketball game coverage. There is a conference coming up in May based around underwriting and fundraising that could help with these goals. Also updated information about how Virgil is doing with the tech job. He has been doing a lot of interviews with people on the radio and has also been working with Austin on redoing the station website. Virgil will be back in the office for a bit until salmon season opens then he will be fishing. While Virgil was in Anchorage, he also helped getting things set up so we were able to the broadcast the Board of Fish meetings. The transmitter is running well since the last time that it was fixed. The problem last time was a wire that was loose. The guy who came in to fix this also did a routine inspection of the tower and made sure everything else was in place and how it should be. Also talked about the future installation of our UPS/Power Conditioner for the transmitter site so when the power goes out, the UPS will keep the transmitter running until the back-up generator kicks on. This will protect the transmitter from power outages and surges. Talked a little about the Emergency How to Manual that we have been putting together. Austin talked about updating the website a little more and looking for potential developers for this. Should be discussed more next meeting. Luke asked who will be in charge while Austin is gone. Virgil will be the ‘go to’ guy if something goes down and Shalene will man the office. Shalene gave oral report on what she has been working on. Talked more about the manual that has been put together to help in case something goes wrong at the station. Also included in the manual are how to everyday things and annual fundraising and membership information. Shalene has been doing all of the everyday stuff, printing checks, inputting payroll, etc. Virgil has been adding more songs and updating, our library is now at about 19,000 songs. Dave has updated the classical music library as well. The station has been looking to save money on music. We have been paying $375.00 per month for a couple of hard drives and also cds that we get in the mail weekly. The CD’s are not up to par and don’t have a lot of the more popular songs. Austin and Shalene have been trying to contact Jones to no avail. Trying to cancel our subscription with them but almost impossible to get a hold of them. The board suggested that maybe we stop payment until they contact us. The alternative that Austin has found for this is through another licensing firm. It would be a 50 year contract for a $380 one time payment. Dave asked the boards opinion about maybe doing a monthly talk show featuring famous people and debates. Everyone seemed to agree that it would be a good idea. The radio station has also been broadcasting the City Council Meetings. Also trying to broadcast Borough Assembly Meetings and possibly School District Meetings. a.) Acceptance of Election Results: Jim motioned to accept most recent election results that add James ‘Jamo’ Webster to the Board. Dan Seconded. All in favor. Motion passed. James will be sworn in at the next meeting. b.) FY13 Budget: Some discussion because budget print is so small. Having trouble with quickbooks printing the correct budget. The highwater mark for us this year is about $200,000. We have two years to spend monies acquired from the Corporation for Public Broadcasting. Austin has added more classes to the budget to create a more detailed view of how we are spending station money. The board would like to see a copy of the budget in larger print and maybe just quarterly or one total sum of each class. Luke asked what the tower revenue consisted of, Austin explained that GCI and NOAA each lease tower space from KSDP. The board is interested in seeing copies of these contracts. Austin asked if the board would approve the budget because it needs to be submitted to APBC on April 19th. We are pretty much done with this fiscal year, in the final quarter. Austin noted that he needs to get the budget to the board in a more timely manner. Luke made motion to approve budget for FY13. Dan seconded. Discussion; Luke would like to see the FY14 Budget earlier. All in favor. Motion passed. c.) State Basketball: Jim was wondering if KSDP was going to broadcast the state basketball games. Austin is leaving town on Thursday and will be out there to announce the basketball games. Austin has reached out to other radio stations to see if they needed broadcasters and maybe be willing to pay a fee to KSDP. Board thinks Austin is doing a great job with broadcasting games. d.) Cell Phones: Luke noted that Austin has been using his personal cell phone to cover and broadcast games and thinks that he should not have to be doing that. Luke recommends that Austin get a cell phone and plan through the station because he is the General Manager. Luke suggested GCI coverage because AT&T does not work that well out here. Maybe could try to cut a deal with GCI since they do lease the station tower. Luke voiced that the radio station feels more community based and he likes the direction that we are going. Next meeting scheduled for Thursday, April 25, 2013 at 5:30PM at the KSDP Radio Station Office. Dan moves to adjourn the meeting. Jim seconded. All in favor. Motion passed. Meeting adjourned at 6:46 PM. Luke Meinert called the meeting to order at 5:36pm on Tuesday, October 23, 2012 at the Sand Point KSDP Radio Station. Jim motioned to approve agenda. Dan seconded. All in favor. Motion passed. Two corrections to be made to last meeting minutes. a.) In Executive Session it says Jim made a motion and then seconded it. Luke actually seconded that motion. b.) The time for the next meeting says October 16, 2012 when it was supposed to say October 23, 2012. Upon correction of minutes, Dan made motion to accept corrected minutes. Jim seconded. All in favor. Motion passed. 1.) Austin gave an update on KSDP’s financial position. We are at our low water mark financially and will be receiving the next round of CPB funding next month. We will be receiving 70% in the first payment this time instead of 50%. This should not change anything, but the board may want to explore what options this will make for us. 2.) For projects it was noted that the back-up generator project and the King Cove tower installation were both completed. The next project that is currently underway is the rebuilding of the wall that holds the outdoor windows in the production room. There have been issues with leaking water for many years. Emil Mobeck will be working on this wall as he is already working on other walls in the City Building. This is part of the FY12 legislative grant. 3.) Austin mentioned an upcoming grant from NCME that focuses on educational challenges. The Dutch Harbor news team has been contacted for possible collaboration. 4.) Creating a new pilot position for a News Director/Site Tech was also discussed. This position would be a six month pilot project and will be in charge of creating new and original content as well as maintaining our technical systems already in place and even helping us develop new technical projects. Shalene was out sick. Did not give oral report. Not a lot of significant change in this department. There was discussion of the change in programming that took several of the top of the hour news broadcasts off the air. This was something we have had some comment on before. The generator project is complete and in better shape than originally planned. The credit card has a low limit that we reach quickly. Paying by check makes things even slower, sometimes taking weeks before the balance is cleared so we cannot use the credit card half of the time. This would be remedied by allowing a pay by phone EFT payment on the credit card. We would continue to use two signatures by the board to approve the payment and the payment approval form would be attached to the statement similar to a check. There was discussion on how to alter the language in the By-Laws for an EFT approval. After discussion the language was agreed that in Article V under the section titled “Checks, Drafts, Etc.”, “EFT Payment” would be added to the list of approved options. And that to the section titled, “Credit Card” “EFT Approval Form” would be added to the end of the paragraph. Marta made motion to add language. Jim seconded. All in favor. Motion passed. a.) Discussion of the proposed News Director/Site Tech job had support from the board. Many wanted to see more original programming. Luke wanted to make this a large national search. It was decided to begin the search for the position. Marta made motion. Dan seconded. All in favor. Motion passed. There was no public comments. Luke did comment that it would be nice to have pictures of the finished projects for the board on the website. Also several questions were asked about certain line items on the budget and were answered to satisfaction. Next meeting scheduled for Tuesday, January 8, 2013 at 5:30PM at the KSDP Radio Station Office. Dan made motion to adjourn meeting at 6:30PM. Marta Seconded. All in favor. Motion passed. Luke Meinert called the meeting to order at 5:38pm on Tuesday, August 21, 2012 at the Sand Point KSDP Radio Station. KSDP staff present: Austin Roof – General Manager; Shalene Chebetnoy-J – Administrative Assistant; David Dillard – DJ. Luke moves to add under Executive Session b.) Hourly employee salary. Jim seconded. All in favor. Motion passes. Jim made motion to approve minutes from last meeting. Marta seconded. All in favor. Motion passed. Austin talked about the highlights of what is going on with the station right now. Finances—7% decrease in funding from the CPB due to budget cuts but this will not affect the radio station. Generators—they are up and running. Clint Stark will be back this way sometime in the near future to update them. Austin gave update about Nolan Brothers trip to King Cove to redo the tower. The membership drive will be in September with Board Elections to follow. Shalene gave an oral update about the work that she has been performing at the station. She has been closely working with Austin to prepare everything needed for the audit. Also all other office duties as assigned. 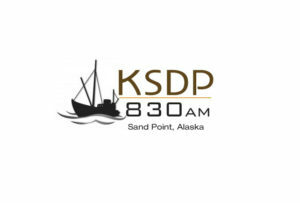 Shalene asked is maybe KSDP should broadcast live at the Salmon Derby. She will get in touch with Tina. Dave gave an oral report about programming. He talked about his live show and how the public is giving positive feedback. He has KSDP Facebook page open when he is on air. He is also downloading music daily. Talked a bit about membership. The membership luncheon in May brought in a few members. In the future, Austin commented on maybe doing a gala event. More talk about strategic planning at next meeting. Shalene brought up possible OJT. Austin said he would talk to the principal in a couple days. Jim made motion to approve salary of $55,105 for General Manager who is required to to a 3 credit course in business management or communications broadcasting. Jim seconded. All in favor. Motion passed. Jim made motion to give all hourly employees a $1 raise. Marta seconded. All in favor. Motion passed. Next meeting scheduled for Tuesday, October 16, 2012 at 5:30PM at Station Office. Jim made motion to adjourn meeting. Dan seconded. Meeting adjourned at 6:19PM. Jim Brown called the meeting to order at 5:36pm on Tuesday, January 03, 2012 at the Sand Point School Library. Jack motioned to approve the agenda. Austin asked that the General Manager’s Contract be added underneath new business. Jack asked that Certification of Election be added after Approval of Minutes. Jim Seconded. All in favor. Motion passed. Jim made motion to approve minutes from last meeting. Jack seconded. All in favor. Motion passed. Jack made motion to accept election ballots as counted. Marta seconded. All in favor. Motion passed. Swearing in of Board Members. Dan Williams now present at meeting. All board members signed Oath of Office and Board Member Job Descriptions. All members sworn in. Luke Meinert now President. Resolution for language change of FY 12 State Grant. Table open for discussion. Austin explained what would be changed. Monies for office reconstruction reallocated to replace tower in King Cove. Jim made motion to approve resolution. Marta seconded. All in favor. Motion passed. General Managers Contract. Jim made motion to discuss General Managers Contract. Luke seconded. Open for discussion. Board members would like to put a cap on roll over vacation hours. Jim made motion to amend General Managers Contract language to say; General Manager’s vacation hours rolled over up to 20 days. Luke seconded. All in favor. Motion passed. Board members given copy of Bylaws. Board asked if agenda and minutes could be handed out a week in advance before meetings. Austin would like to meet in February to discuss GM salary and to present KSDP budget. Luke set next meeting for February 21, 2012 at 5:30pm at the Sand Point School Library. All members agreed. Jim made motion to adjourn meeting at 6:01pm on Tuesday, January 3, 2012. Luke seconded. All in favor. Meeting adjourned. Jim Brown called the meeting to order at 7:22pm on Tuesday, November 29, 2011 at the KSDP Radio Station. Luke made motion to approve the agenda. Jack seconded. Motion passed. Jack made motion to approve minutes from last meeting. Jim seconded. Motion passed. Austin read and explained his report. Generators for the station and transmitter sites just started being manufactured this month and should be completed by January. Luke asked about the ARCS tower in King Cove. KSDP currently has a microwave dish placed on the tower. The tower is in horrible condition; unstable and unsafe. Austin suggested instead of using the money (FY12 Grant) that was allotted to remodel office to use it to rebuild the King Cove tower. Jack asked about just getting a stand for the dish that is currently on the tower instead of rebuilding tower. Austin thinks it will be mutually helpful for ARCS and KSDP to rebuild tower. Van Craft is coming to Sand Point in the near future to wrap up some projects. Membership drive was average this year. Jim suggested that instead of putting box holder actually address the envelope to a person because most people throw anything that says box holder away. Also Luke commented on maybe basing the membership drive around Silver Salmon Derby. Austin is hoping to do a few day membership drive last time giving people more of an opportunity to be a part of KSDP. The district wide ididapodcast contest will be announced November 30, 2011. Youth from ages K-12 are welcome to enter. The contest is being announced through the schools throughout the district. The students can email their podcasts directly to Austin and this district contest also gives them a jumpstart on the statewide competition. Austin has asked different entities throughout the area for donations so that station has not had to contribute any money as of now. Austin and Virgil have been working with the current events class at the school. They have been meeting on Tuesdays and Thursdays during first period. The students are learning how to report news, hold interviews and to get comfortable on the radio. This is all leading up to interviews with the new Mayor Martin Gundersen and after that being able to report local current events. 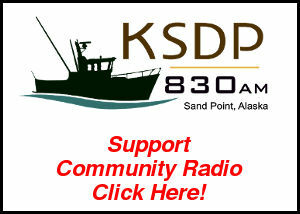 The board would like to see KSDP encourage more volunteers to get on the air and host their own shows, but take precautions as to what is being played by people. 1. Election of Officers; Jim nominated Luke as President. Dan seconded. Luke accepted. Roll call vote; Luke-yes, Jim-yes, Jack-yes; Dan-yes. Motion passes. 2. Luke nominated Dan to be Secretary/Treasurer. Jim seconded. Dan accepter. Roll call vote; Jack-yes, Jim-yes, Luke-yes, Dan-yes. Motion passes. 3. Luke nominated Jim for Vice President. Jack seconded. Jim accepted. Roll call vote; Luke-yes; Jack-yes; Jim-yes; Dan-yes. Motion passes. 4. Qagan Tayagungin Tribe Donation; Austin recommended we say yes at a value of $25-$50 which will help the station with community involvement. Luke asked if QTT sponsored the radio station, no they currently do not. Jim made a motion to donate $50 to the QT Tribe for the annual Christmas Potluck. Dan seconded. All in favor. Motion carries. Luke suggested having Aariah and Virgil do written reports for each meeting just so the board has an idea of the projects they are working on. Jack suggested holding a special meeting where the only thing on the Agenda would be swearing in all the board members. Jim asked Austin to check with Tina on the protocol for swear-ins. Austin said he would print out a copy of the bylaws for each board member. Next meeting scheduled for Thursday, December 22, 2011 at lunch. Luke made motion to adjourn meeting at 8:17PM. Jim seconded. All in favor. Motion passes. 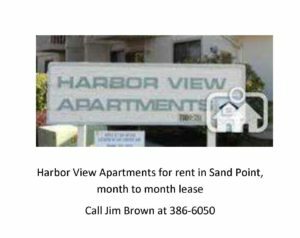 Jim Brown called the meeting to order at 7:25pm on Monday, August 22, 2011 at the KSDP Radio Station. Jim asked to move Public Comments and Discussion to after the General Managers Report. Laura moved to accept agenda. Mary seconded. Motion passed. No minutes from last meeting. Austin gave GM Report. Mary had a few questions about King Cove project and funding. Austin discussed two grants he is currently working on. Membership drive is still going on and elections can be held as early as next week. Luke Meinert spoke on behalf of Austin. Said he believed Austin was very community oriented and a positive attribute to the station. Robert Kochuten also spoke on Austin’s behalf to be hired as General Manager, saying he was committed, enthusiastic and inspired. Dawn Kochuten was also present. Pastor Alan Ward thanked the board for allowing him time on the radio for “My Dad Rocks”. Also spoke on Austin’s behalf and encouraged board members to hire him for the GM position. Jim asked public and Administrative Assistant to vacate the room for an Executive Session. Executive Session ended. Jim made a motion to hire Austin Roof as General Manager at KSDP. Jack seconded motion. Members voted. Marta-no; Mary-no; Laura-yes; Jack-yes; Jim-yes. Motion passes. There was discussion of Austin’s salary. Jim made a motion for a salary of 52K with a 6 month reevaluation for more. Laura seconded. Members voted. Mary-no; Marta-no; Jack-yes; Jim-yes; Laura-yes. Motion passes. There was discussion on programming content, specifically “My Dad Rocks”. Maybe consider putting guidelines in place for religious criteria on the radio. It was suggested that the time of “My Dad Rocks” be changed to 2-3pm on Thursdays instead of 3-4pm. Also was mentioned that there be less preaching and more music. Marta brought up the fact that the “Top of the Hour” news programming may be repeating itself. Austin suggested the news be staggered instead of at the top of every hour it be every other. Also suggested him and I work on getting our own news broadcast going. Jack asked if there was a way to get the community more involved with radio station, getting more volunteer DJ’s. There was also some discussion of talking to the teachers at the school about starting up a program for the students. Mary suggested getting a curriculum from other stations. There was a discussion of the use of the station vehicle. All board members agreed that station vehicle should be used for station purposes only. Austin showed a zero risk option for a new bank account that would increase the interest 6 times of what account we are currently holding. Asked permission to move 100K into this preferred interest account. Board agreed. Jim motioned to adjourn the meeting at 9:01pm. Jack seconded. Motion passed. Jim Brown called the meeting to order on Wednesday, February 16, 2011 at 7:11 p.m. The Board meeting took place at the station at the Sand Point City Building. Jack Foster made a motion to approve the agenda. Mary Olsen seconded the motion. The motion passed. Jim made a motion to move last meeting minutes until the next meeting. Marta seconded the motion. The motion passed. The Board of Director’s appointed Laura Clark to finish out Austin Roof’s position on the Board of Director’s for KSDP. Jim Brown made a motion to approve the minutes as written. Marta seconded the motion. The motion passed. The Board will next meet on April 20, 2011 at 7:00 p.m. Mary adjourned the meeting at 8:00 p.m.